JUNEAU — The sole gun control bill working its way through the Alaska Legislature this year has stalled amid opposition from the National Rifle Association. But a key House lawmaker says he's still trying to draft a compromise that can address the organization's concerns. 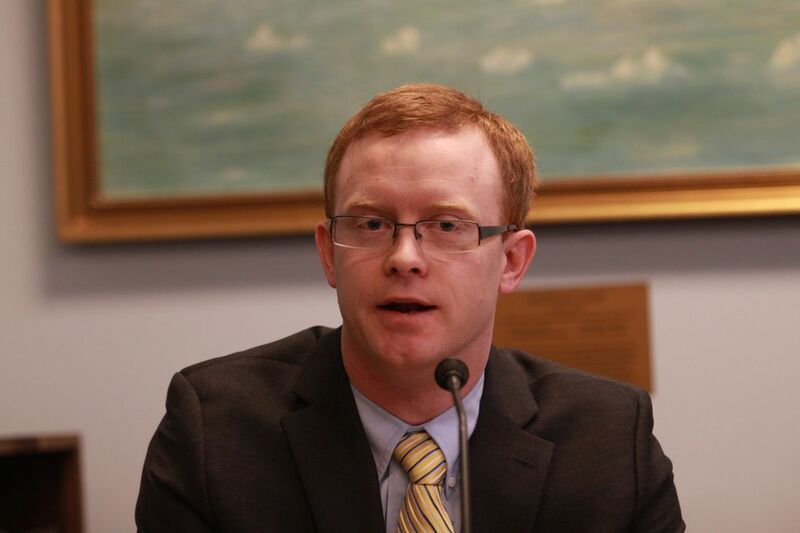 Anchorage Democratic Rep. Matt Claman said Tuesday that he's talking with the group's lobbyist, along with members of the House Judiciary Committee that Claman chairs, in an attempt to advance House Bill 75. The legislation, sponsored by Anchorage Democratic Rep. Geran Tarr, aims to limit access to guns for people deemed dangerous by police officers or judges — before they can commit a crime. Claman's 22-member House majority coalition includes 17 Democrats, many of whom support HB 75. But two of the majority's three Republicans sit on the judiciary committee, making for a 5-2 GOP majority and a tougher path for the bill, since conservatives are less likely to support gun control legislation. "If we can find a place in which the NRA can support the bill, the odds of passage go up," Claman said in an interview Tuesday. He added: "They're coming to the table. Whether we can reach agreement or not is a different question." Tarr introduced her legislation last year, after an Anchorage man, Esteban Santiago, was accused of fatally shooting five people and injuring six at a Florida airport. At the time, Connecticut and California had similar laws already in place, while proposals were pending in at least a half-dozen other states. Tarr gave HB 75 a new push after the February school shooting in Parkland, Florida, in which 17 people were killed. Authorities received multiple tips and calls about the suspect in that case, Nikolas Cruz, before the shooting took place. In public hearings in the past several weeks, Tarr's legislation drew impassioned testimony, including from high school students and survivors of last year's mass shooting in Las Vegas. Some supporters said it could help address Alaska's high rate of suicides, while some critics characterized it as a knee-jerk reaction that wouldn't affect underlying problems of mental illness. A gun control group, Alaska Moms Demand Action, is planning a "day of action" Wednesday at the Capitol. The NRA, meanwhile, on Tuesday issued its first statement opposing HB 75. The statement comes after Claman, last week, released a modified version of the legislation. The previous version would have allowed family members and police to request a "gun violence protective order" from the courts to force a dangerous person to give up their guns. Claman's new version of the bill only allows police officers to make that request. But it includes a provision allowing officers to seize an allegedly dangerous person's guns before a protective order is issued by a judge — as long as the officer follows up with a formal petition for such an order within three days. It also allows judges to issue "ex parte" orders, which last 20 days, without first notifying the recipient, as long as "less restrictive alternatives have been tried and were ineffective." Tarr said it's important to her to preserve the ex parte provisions, and she suggested that she may drop her support for the legislation if they're removed. But in a prepared statement Tuesday, an NRA spokesman, Lars Dalseide, suggested that gun owners aren't left with enough protections under Claman's version of HB 75. "The NRA supports risk protection orders that respect due process rights and ensure those who are found dangerous receive the the mental health treatment they so dearly need," the statement quoted Dalseide as saying. "Unfortunately, the current form of House Bill 75 lacks such safeguards and therefore lacks our support." Claman said his proposal is modeled on similar legislation enacted a decade ago in Indiana — the home state of Vice President Mike Pence, a Republican. In an interview, Claman also cited recent remarks by President Donald Trump at a February meeting with lawmakers: "Take the guns first, go through due process second." Borrowing pieces of Indiana's law, he added, "was directed at seeking a common ground in which the NRA — which supports both the president and the vice president — can also support the gun violence protective orders under consideration in Alaska." 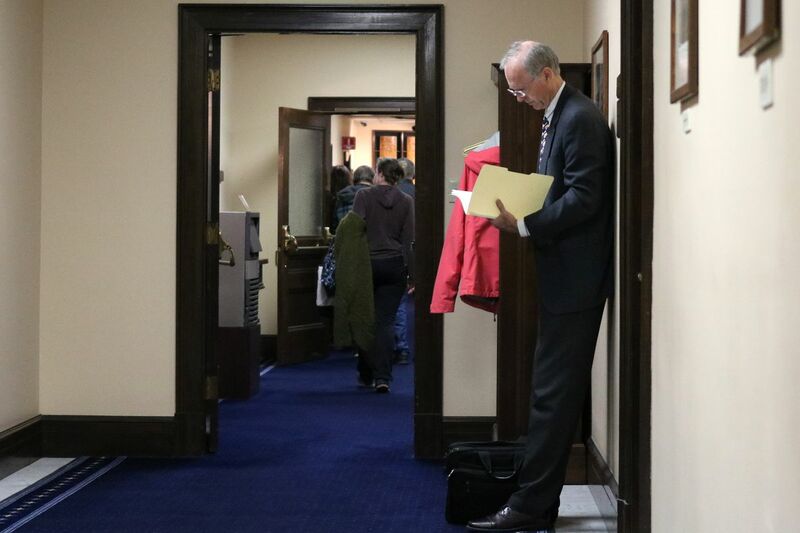 With less than two weeks before the legislative session hits its flexible 90-day deadline, Claman said he's still trying to come up with a compromise to advance HB 75 from the judiciary committee. One of the committee's most conservative Republicans, David Eastman of Wasilla, said he will be fighting Claman's efforts. said in an interview. "Certainly, I'll be doing my part to oppose it." Eastman said he has trouble with legislation that "starts out by blaming the guns, and says if they got rid of the guns then the problem will get better." But more centrist Republicans on the committee withheld their judgment when asked Tuesday. 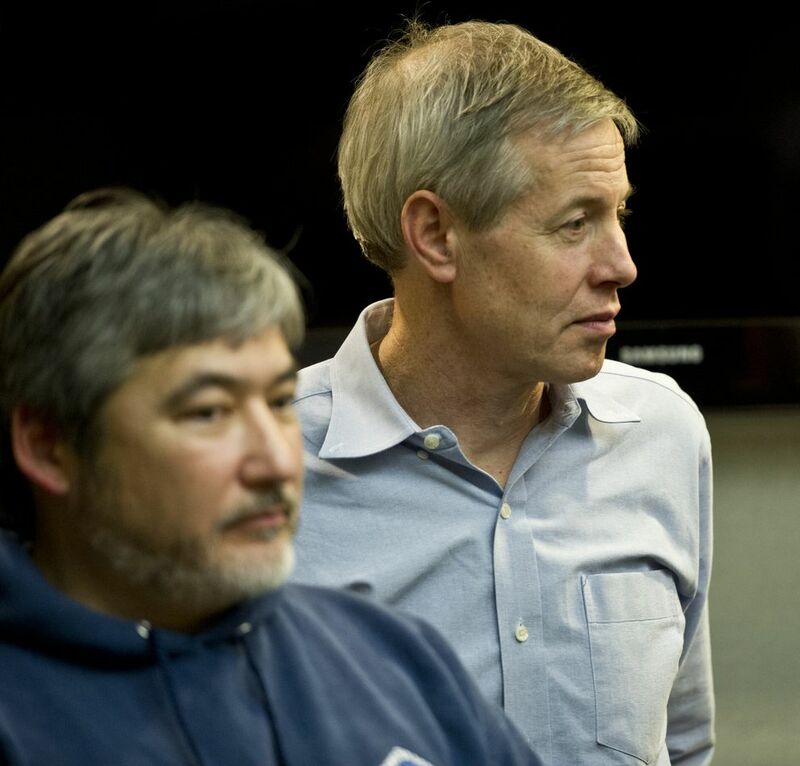 Anchorage GOP Rep. Chuck Kopp, a member of the House Republican minority, declined to comment on the legislation. And Anchorage Rep. Gabrielle LeDoux, one of the three GOP lawmakers in the majority, said she hasn't made up her mind. Even if the bill emerges from the judiciary committee and passes the House, it faces skepticism from at least one key member of the Senate: North Pole Republican John Coghill, who chairs that chamber's judiciary committee. But Tarr said it's still important to her to see the legislation move as far as it can this year. She cited recent public demonstrations around the state in support of gun control, including walkouts from schools. "Alaskans are demanding action in a way that I've never seen in the 20 years that I've lived here," she said. "I want to vote 'yes' on this bill."